Newism - Newcastle web design, development and digital user experiences. 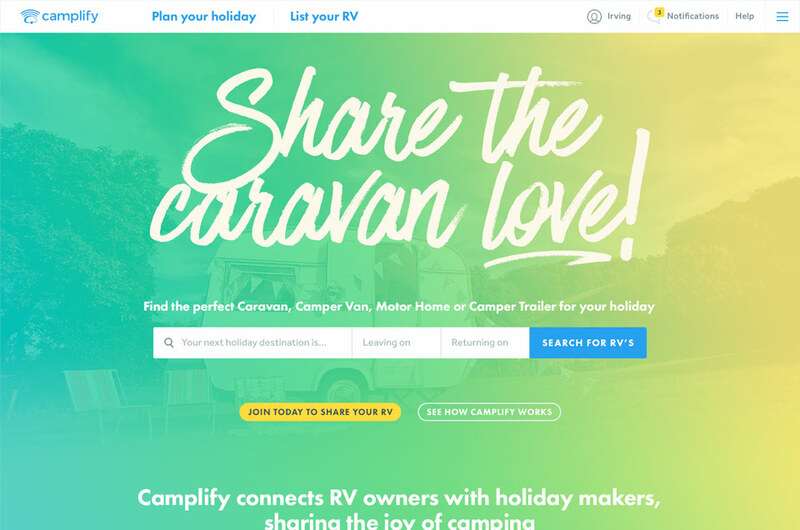 Working with the team at Camplify, Newism came along for the ride with a innovative product changing the RV holiday market. 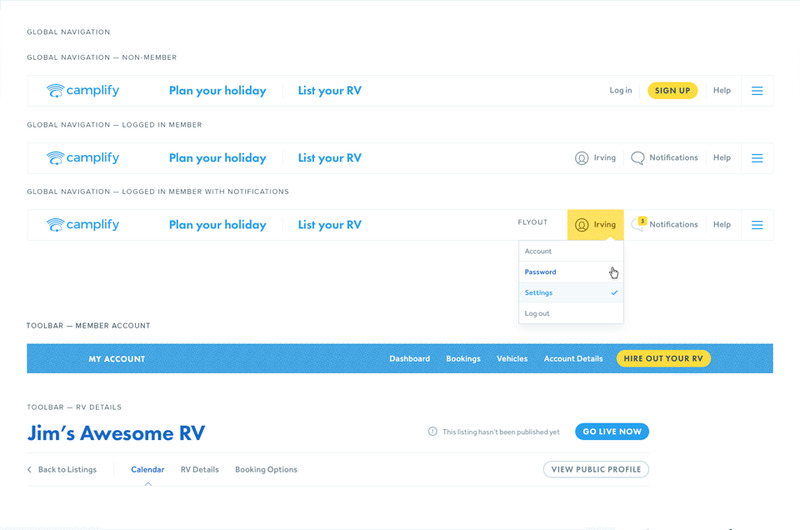 Camplify is a new service connecting holidaymakers with RV owners, in a unique peer-to-peer sharing environment. Already being developed externally, Camplify came to us with the task of fine-tuning their UI/UX, in particluar, ensuring a seamless, intuitive experience throughout the crucial hiring process. Newism spent time researching their users to better understand their pain points, developing comprehensive wireframes alongside the guys from Camplify. 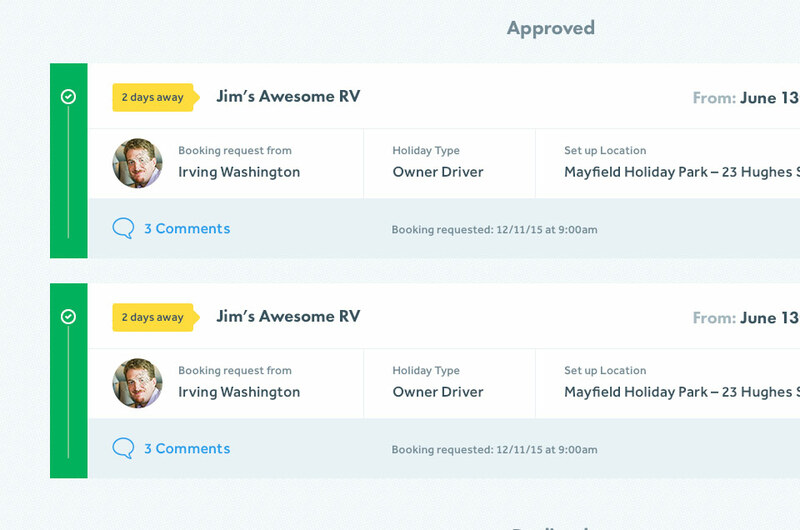 With a solid prototype in place, focus shifted to developing a scalable and detailed design system. 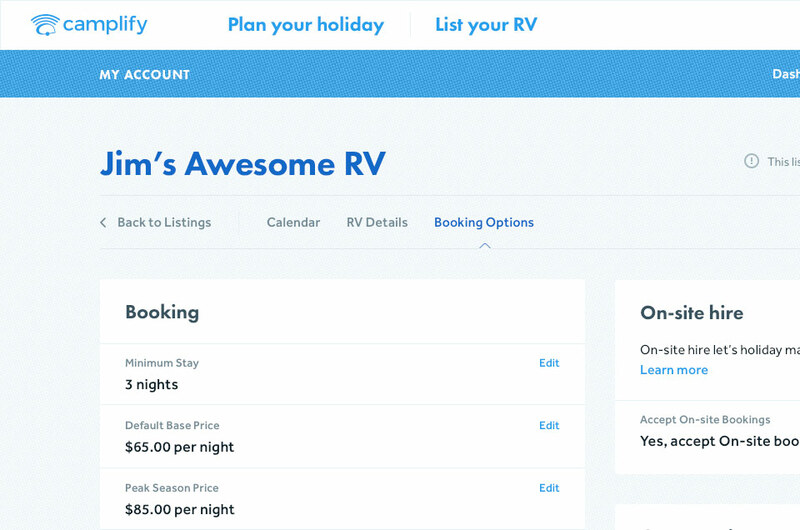 The design system needed to be simple for Camplify's developers to implement and easily built upon—all while presenting a strong and consistent brand. 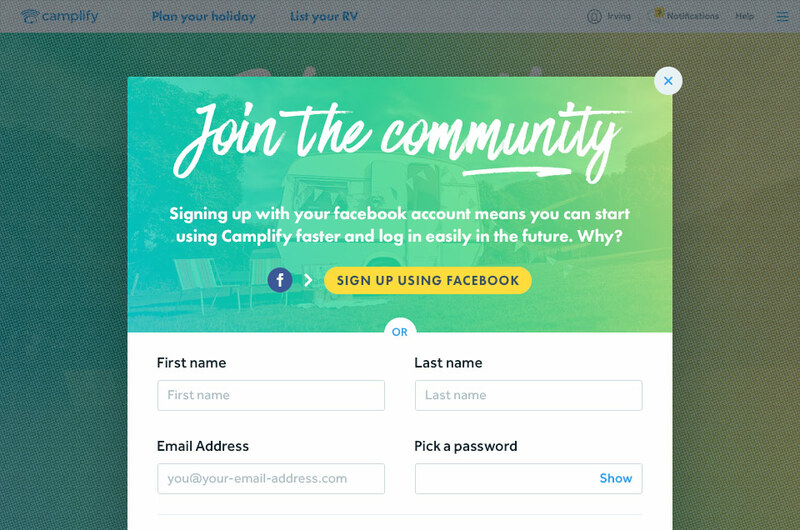 After weeks of work designing every nuance of the UI, Camplify were presented with a unique system capable of scaling with their success. 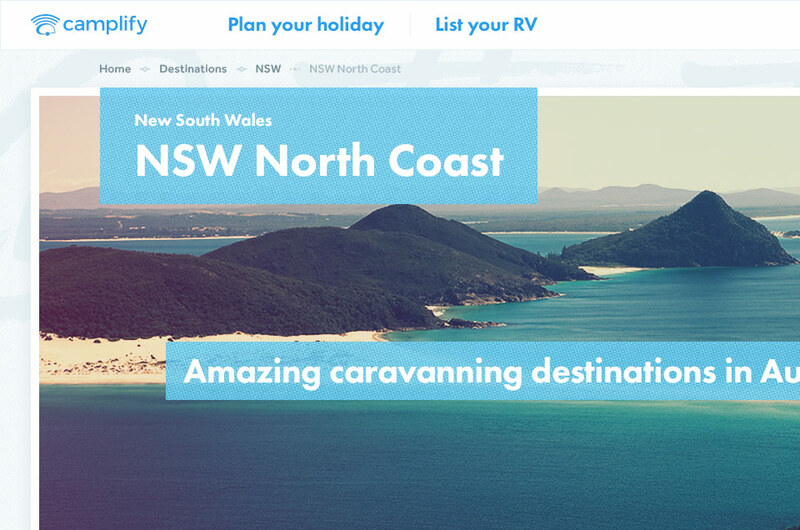 Everyone at Newism is proud to have played such an important role in nurturing Camplify's evolution and we can't wait to see it on the road. "The final result you guys have delivered is amazing! Thanks for all your hard work" – Dave Eddy, Camplify. Boardworld aspires to be Australia's premier boardsports site, which aims to help grow Australia's surfing, snowboarding and skateboarding industries through media, information, and community. 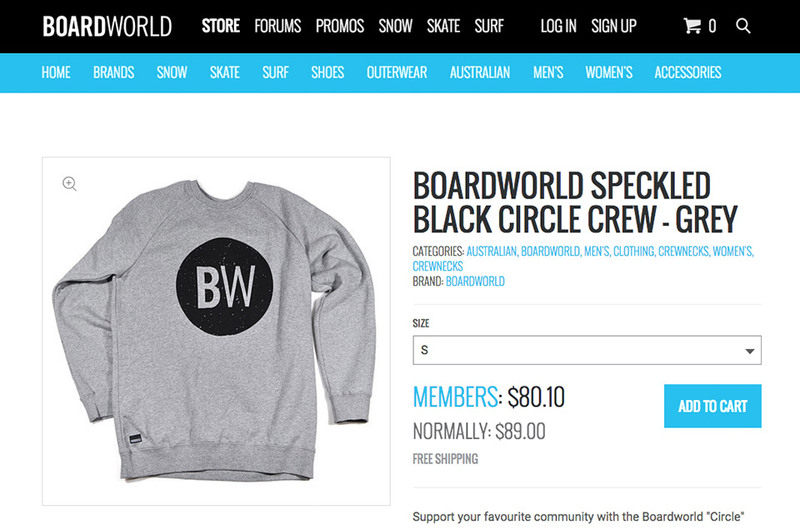 Boardworld aspires to be Australia's premier site focussing on snowboarding, skateboarding and surfing. The new version of the site moved the Boardworld store from an external Magento implementation to an internal Expresso Store. 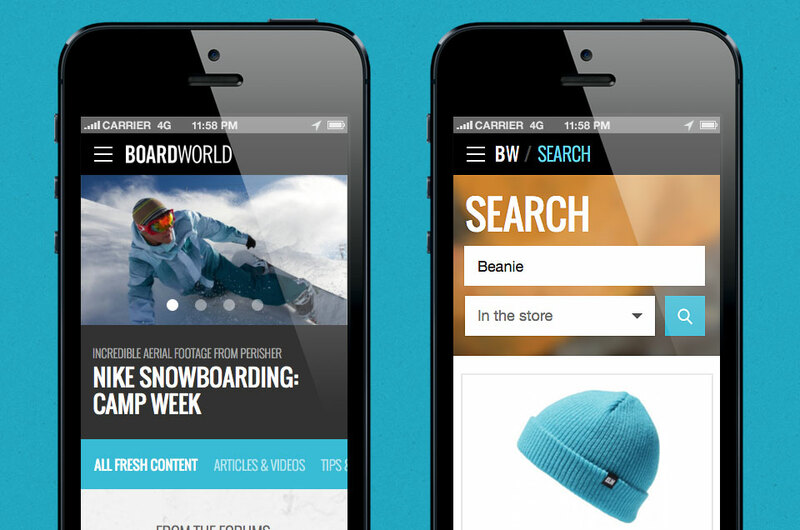 This change allowed Boardworld to promote its products alongside their video content, while offering users a smoother experience when moving between the site content and commerce channels. In addition to the store, the new site features a completely redesigned forum experience, designed to fit seamlessly into the Boardworld brand. Unlike the majority of user forums, the new Boardworld froum has been built to work across all devices—from phones, to tablets and desktops. This allows Boardworld members to stay in touch with the rest of the community even when they're at the beach, the skate park or on the slopes. In partnership with The University of Newcastle and The Village of Useful. Working closely with The University of Newcastle, My Big Tomorrow is an initiative to helping students explore life after school. After extensive consultation with high school students, it was determined that there was a lack of useful resources available to help them understand career choices. My Big Tomorrow was created to fill that void with inspiration, information and education. My Big Tomorrow was a dream project from the start—a passionate, forward-thinking client, our buddies from The Village of Useful and important issues regarding education meant we would be undertaking one of our most significant projects yet. 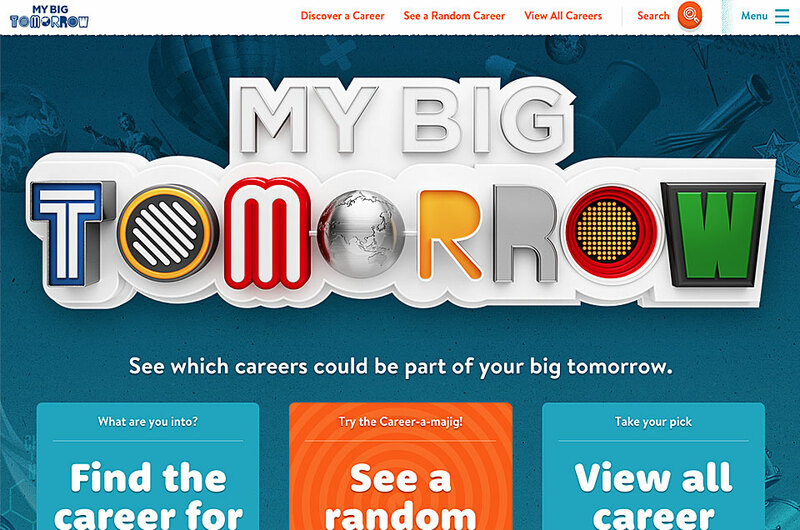 After a tonne of consultation, discussion and research with schools, insightful user research with the students who would actually be using the product, and detailed UX and design exploration, My Big Tomorrow began to take shape into the important student resource we always knew it could be. 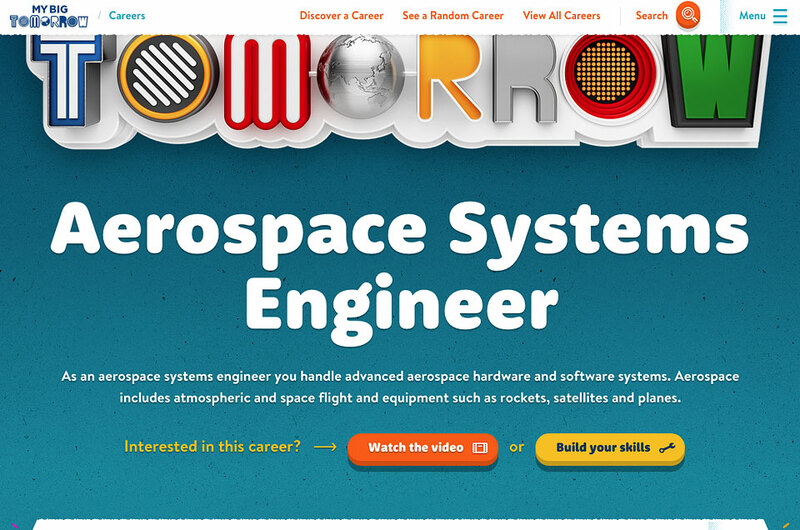 The site itself is all about getting kids thinking about their options after school and helping them on the pathway to achieving their career goals. 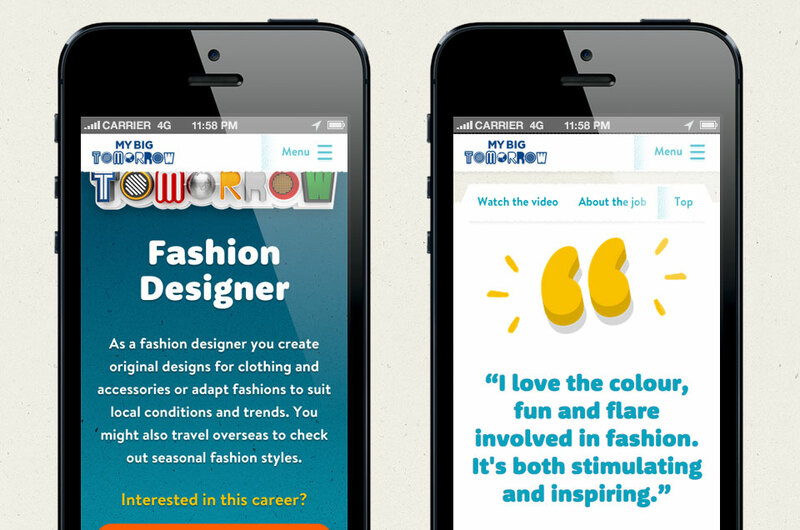 Over 90 careers feature polished "day-in-the-life" style video content as well as detailed information, educational pathways and skills modules allowing students to learn different numeracy and literacy challenges that relate to each of the careers. 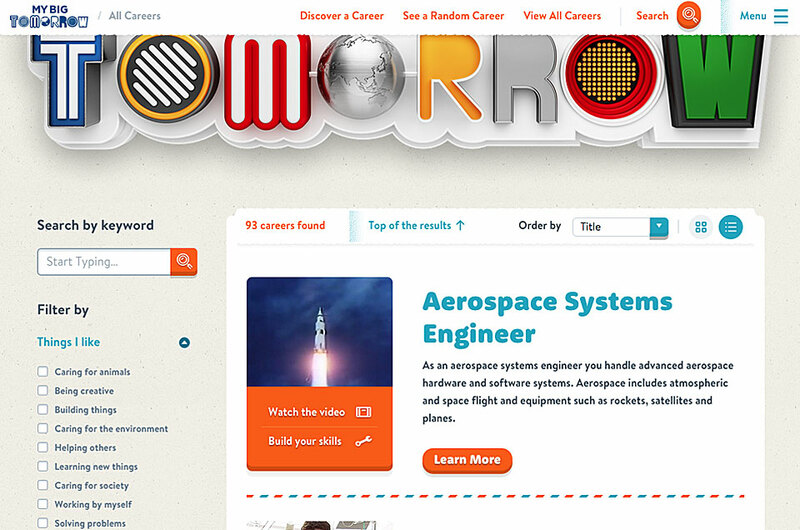 The fully responsive site features several user pathways, enabling kids to explore the careers in a number of ways. 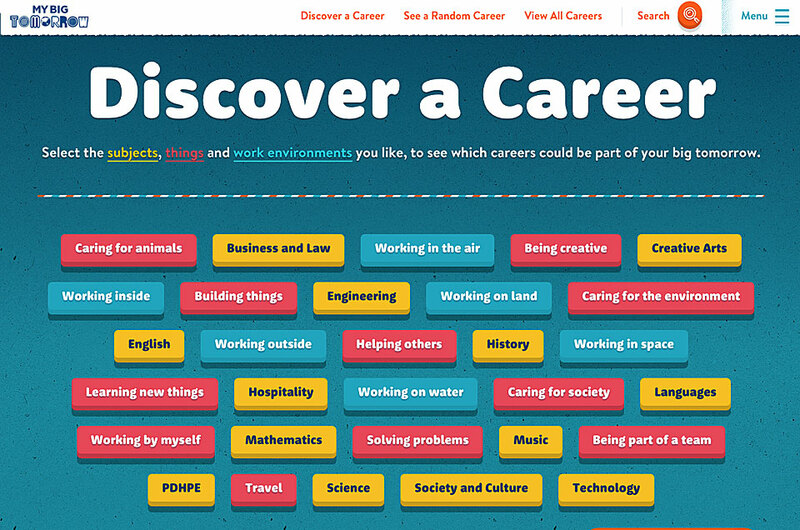 Students can discover a range of interesting careers via the tailored, predictive search, or find careers based on their interests and hobbies, or they can find a random career with the "Career-a-majig". Feedback from both students and educators has been both incredibly positive and humbling as My Big Tomorrow develops into a resource enabling young people to explore, discover and learn. For more information on My Big Tomorrow, including the amazing launch event featuring a student panel hosted by Emma Alberici, check out our blog. 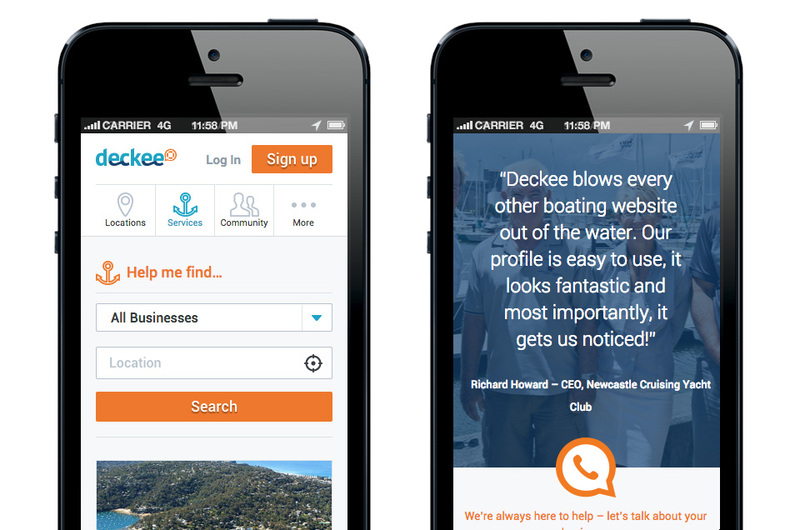 Described by founder Mike McKiernan as "TripAdvisor for boating", Deckee has been christened with champagne and launched with a huge splash! Initially proposed as a prototype purely for market testing, crowd-funding and support from both SlingShot and Newism saw the initial project concept grow to a full, first-version release. 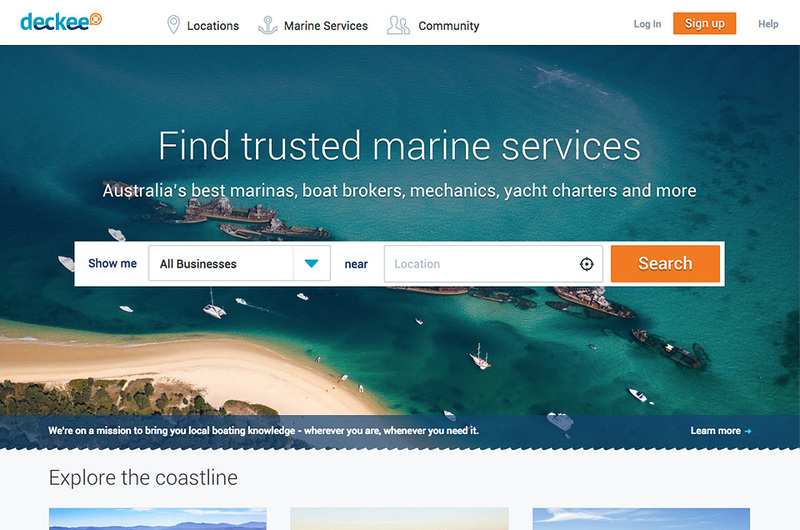 Deckee founder Mike McKiernan spotted a great opportunity for a boating portal that previously didn’t exist. 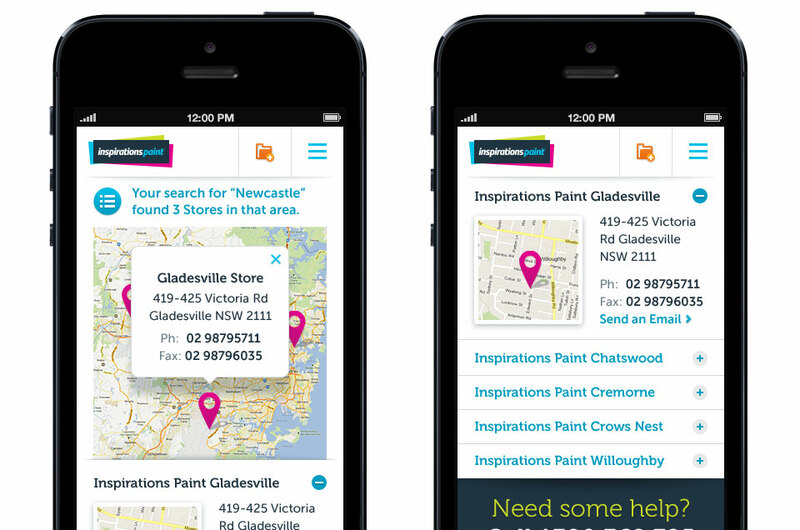 With the help of SlingShot and Newism, that opportunity is now realised with the launch of deckee.com.au in early March 2015. 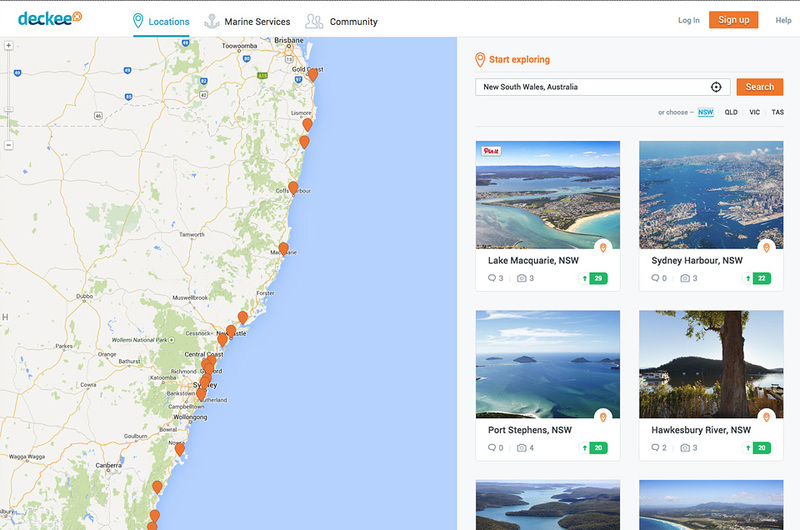 Via Deckee, Boat owners can now plan trips and search for location-specific services such as storage and repairs – all based on reviews and recommendations from the boating community. 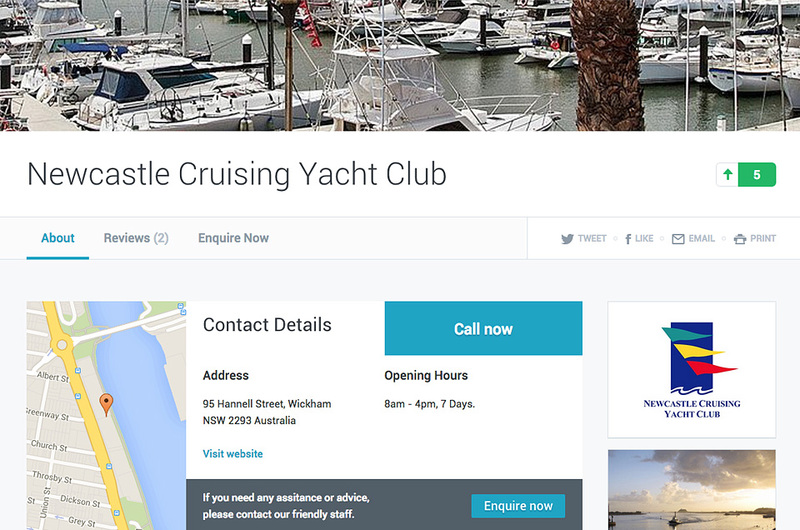 As more ‘boaties’ come on-board and user-contributed content grows the website will be sailing around the world in no time. 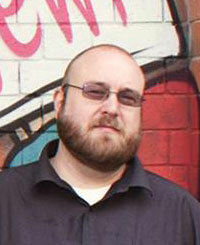 We’re already working with Mike to further enhance the user experience and build on the community/social element. In partnership with The Village of Useful. Paint, googly eyes, stick echidnas and a whole lot of felt. 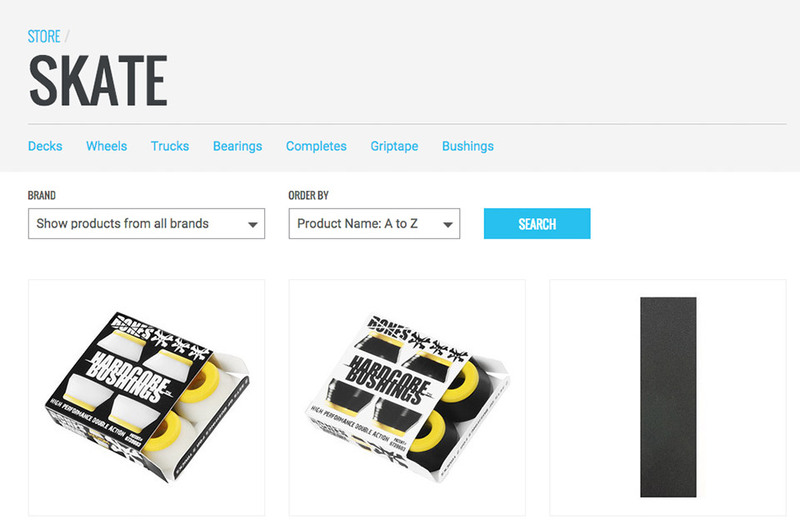 Refreshing the digital presence for one of Australia’s favourite craft suppliers was always going to be fun. 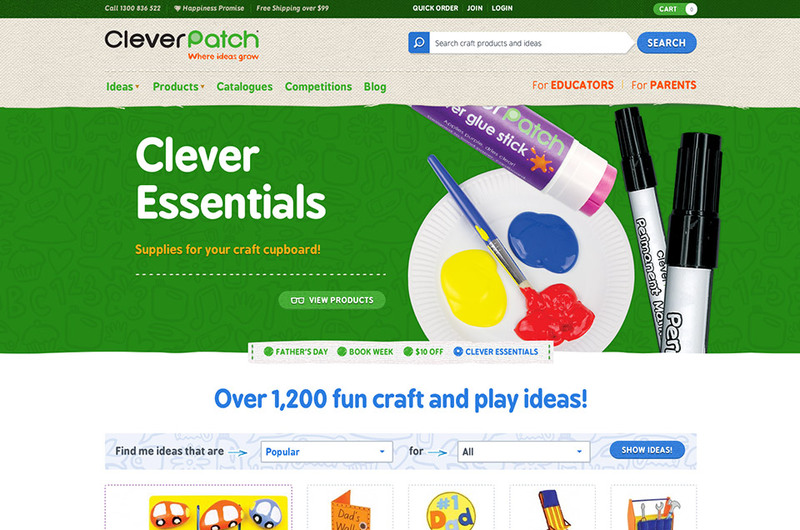 CleverPatch knows craft. 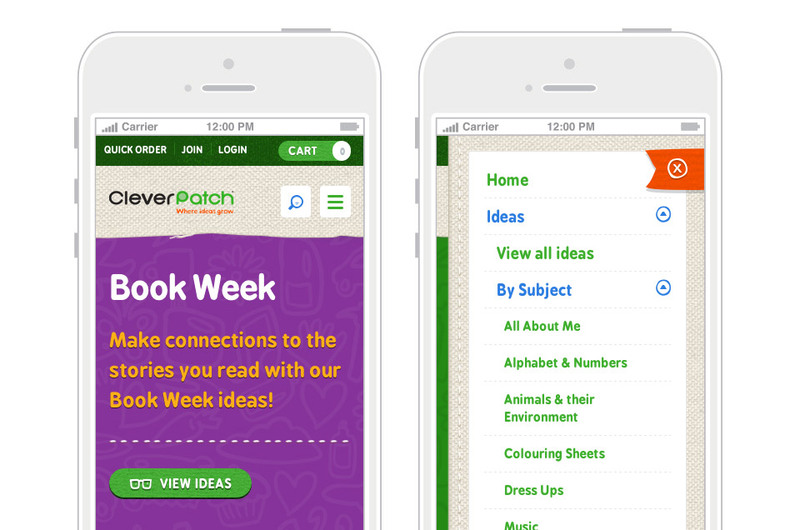 100% Australian owned with a combined 75 years in the craft industry, CleverPatch is a brand synonymous with craft in schools, early childhood centres and homes Australia-wide. To refresh the digital presence, Newism, again working closely with The Village of Useful, developed a customer-focused eCommerce site and storefront. 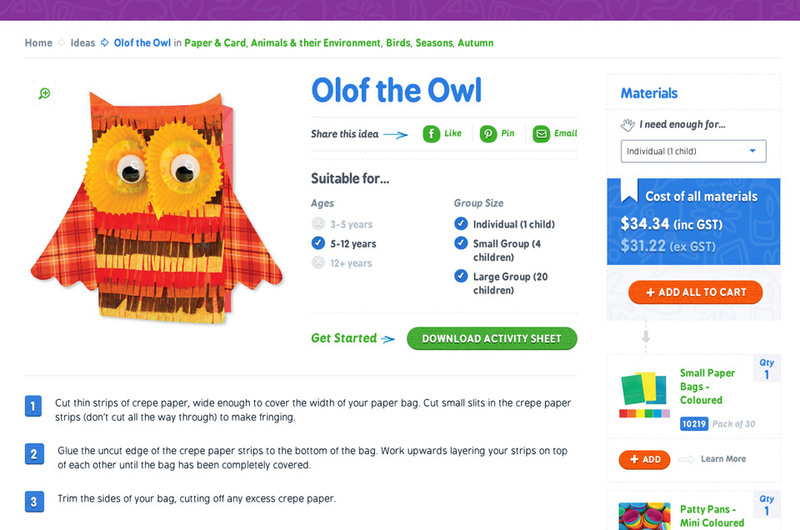 Fully responsive, the new site features a strong emphasis on the fun, energy and imperfections that go with getting stuck into some papier mache or making your own rocket. 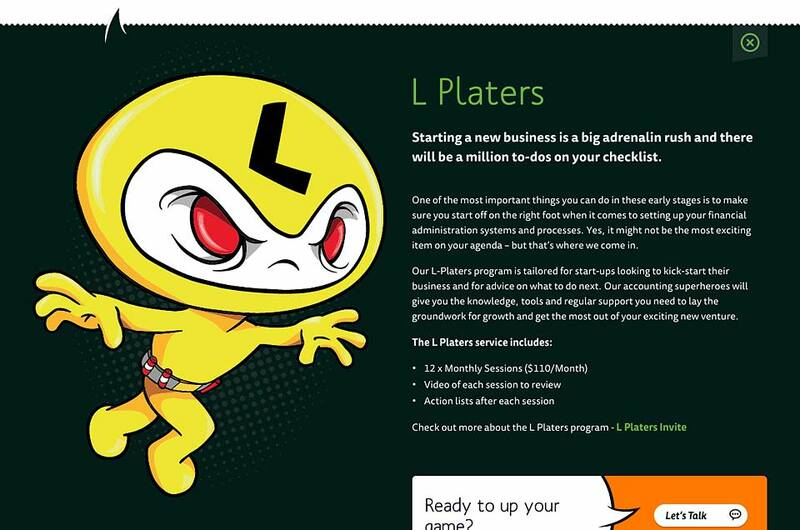 Built with speed, ease of use and usefulness in mind, the site caters for both CleverPatch’s first-time and existing customers by including a stack of new improvements like predictive search, product and idea filtering, activity sheets, customer photos, online catalogues and a seamless checkout process. 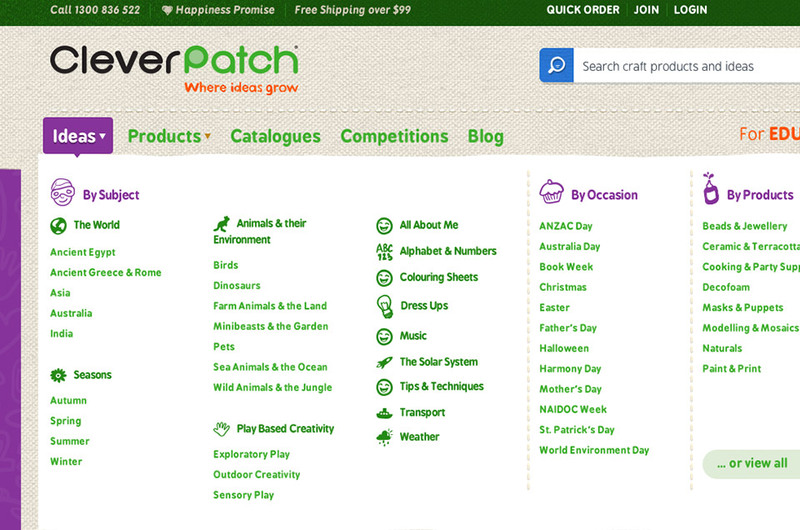 CleverPatch is about the growth that comes from exploration and freedom of creative expression. We've been honoured to do our bit to stimulate the growth of children, parents and educators everywhere. 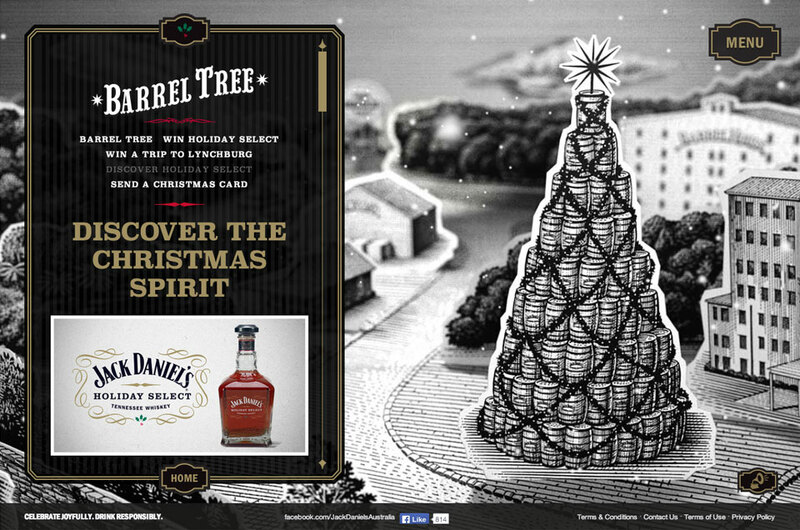 To celebrate the festive season, Jack Daniel’s Australia, in partnership with Arnold Furnace and Newism, put together a one-of-a-kind christmas experience. 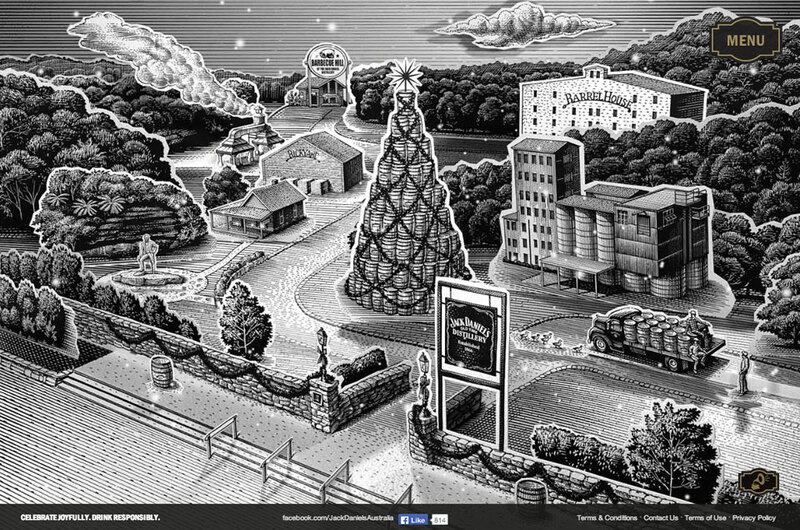 In conjunction with Arnold Furnace, Newism produced an incredibly detailed environment, taking users through Jack Daniel’s Lynchburg Distillery in Tennessee. 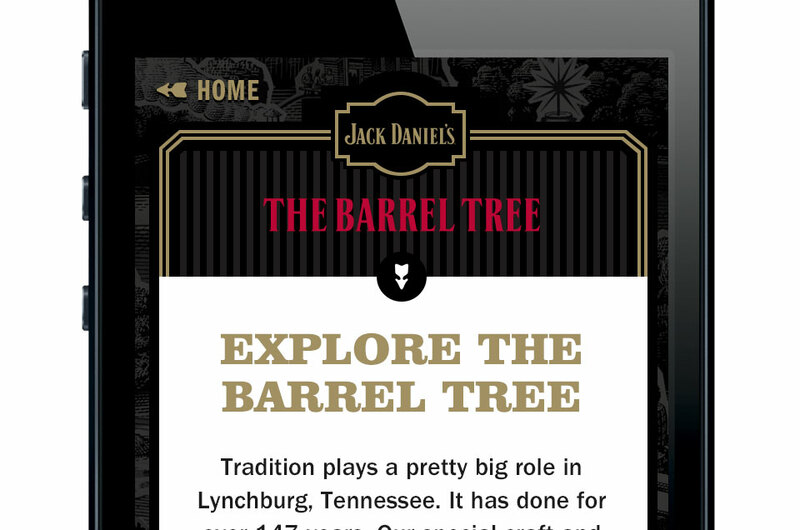 Featuring heavy use of video and detailed design in-line with the Jack Daniel’s brand, this immersive experience provided users with a feel for the tradition and brand synonymous with Jack Daniel’s. 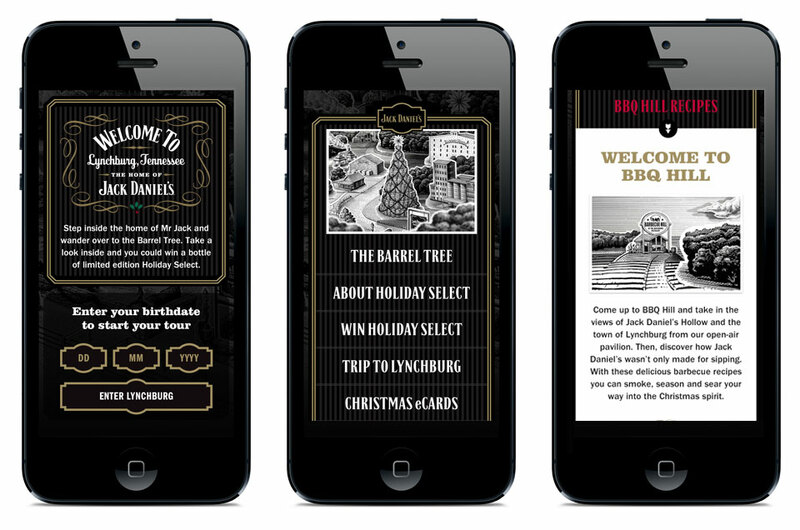 With the ability to enter various competitions, send Jack Daniel's branded e-cards, discover recipes and much more, users could make their way throughout the snow covered country side and learn a little about "Mr Jack". Up against a tight deadline, Newism delivered this highly technical and detailed site. The site even picked up a covetted awwward. Says Tom Spicer, executive creative director of Arnold Furnace: "From a creative perspective it’s one you love to work on because it shares the same passion for craft as all good creative departments and it’s fair to say this has been a labor of love for the agency and all our partners. Massive shout out to Cream for bringing the 3D environment to life and to Newism for their digital design and build expertise, not to mention delivering it on time, in such a short space of time." 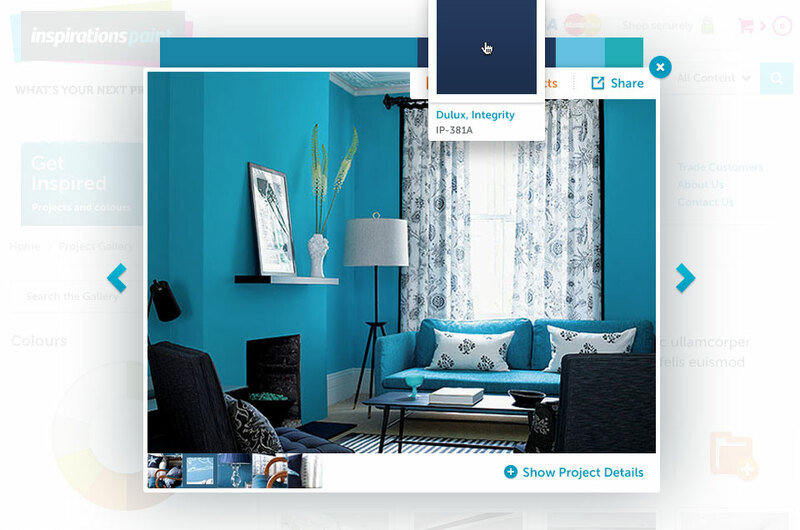 Inspirations Paint is Australia’s largest chain of specialty paint stores, with over 100 stores nationwide. 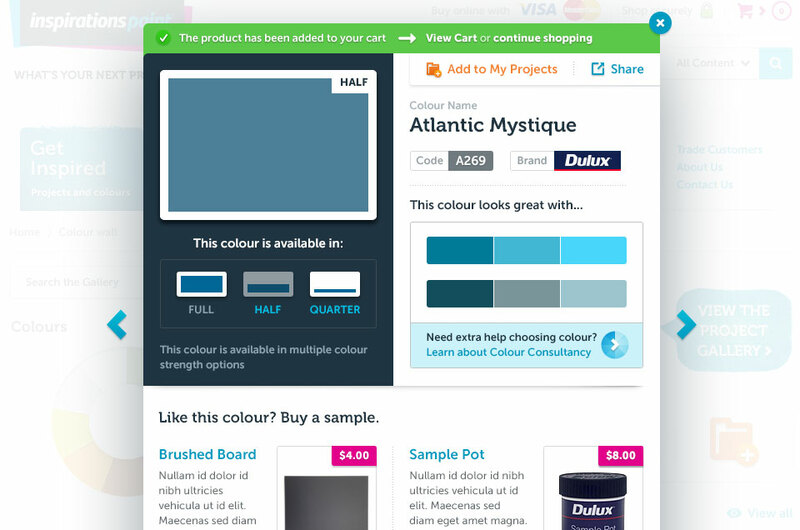 With it’s new brand promise of ‘Personal attention to your painting project’, developed by the team at The Village of Useful, Newism set about designing & building a powerful eCommerce platform to compliment their brand repositioning. 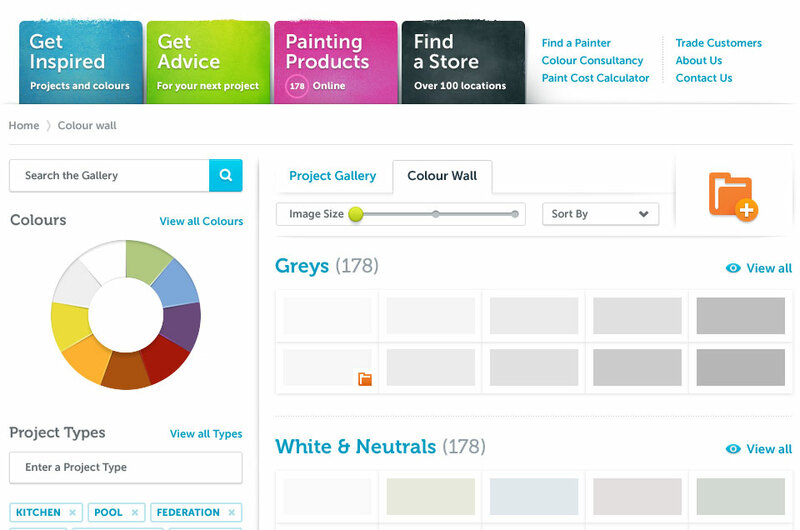 Incorporated with Inspirations Paint POS system, Newism put together an accessible, functional storefront, one that allows users to purchase products, view the latest in colour trends and exclusive project galleries, as well as helpful articles on all things paint. Newism put together a fresh redesign for our favourite, not so average, pen pushing, number crunching small business accountants. Newism and Growthwise have been working together for the past few years, with Growthwise balancing the books and helping our business grow. So we were pretty excited to get the opportunity to bring their unique brand to life. 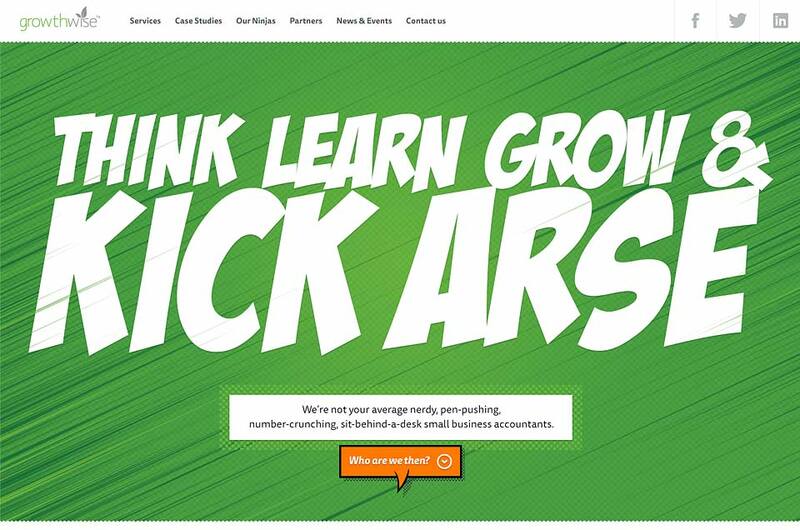 Growthwise's existing online presence had served them well but with a brand that plays on the character and personality of their team, they approached us with the challenge of putting together a site for a bunch of accountants that are anything but typical. 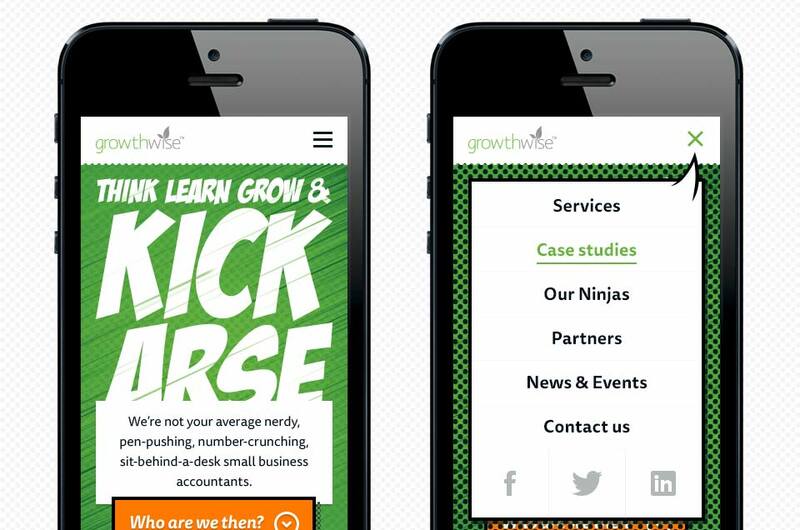 Consisting of a mix of ninja's, cartoons and an interesting tagline, Growthwise's branding enabled us to explore a number of creative solutions and put together a site that displayed both their personality and highlighted the useful news content the team produces. Due to the nature of the site, we decided that Craft was the best tool to use in the development. It allowed the production of a robust site featuring interactions and a design direction quickly presenting potential clients with a solid overview who they are. Further to the homepage, a detailed news section allow the team at Growthwise to share their thoughts and advice readily to their existing customers and demonstrate their value to potential ones. And we're happy to say - that value is kicking arse! 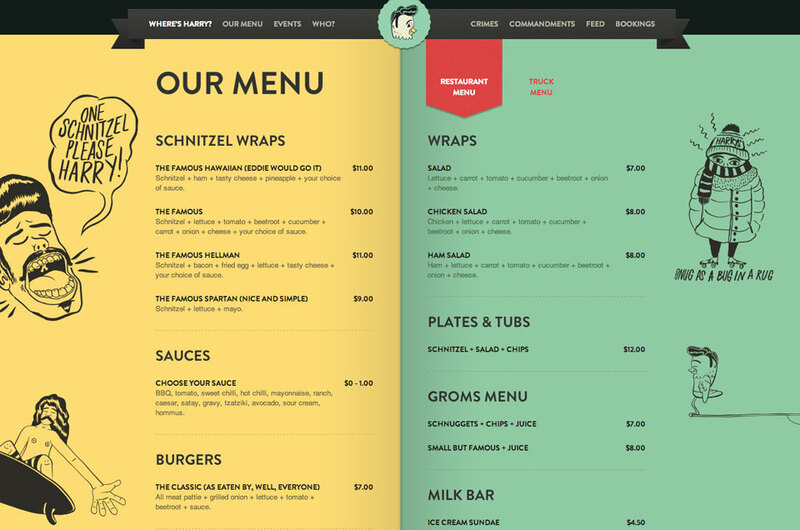 Newism, teaming up with The Village of Useful, developed an award-winning site for a "schnitzel-cooking, wrap-rolling, gut-filling, disher-outer of sweet times." 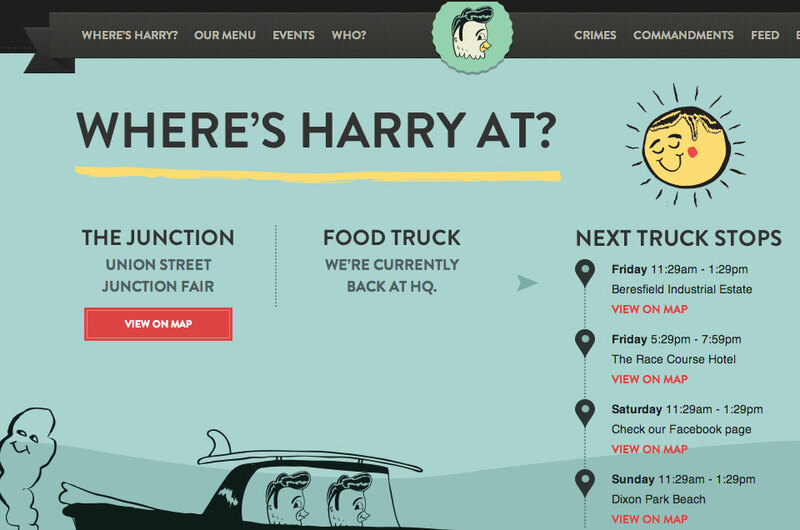 Harrys Schnitzel Joint is fast becoming a Newcastle institution. A delicious, flattened, crumbed & goldened institution. 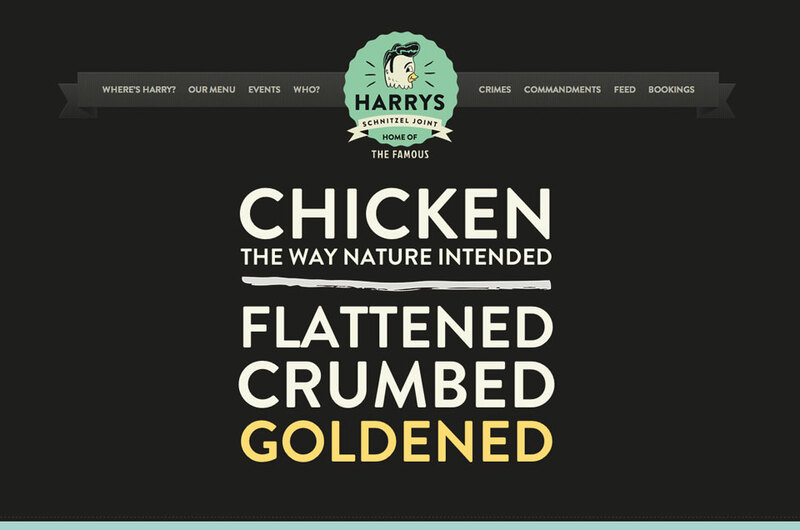 With a strong focus on social media and some stunning new branding, Harrys Schnitzel Joint, came to us, via the guys at The Village of Useful, with the idea of putting together a smooth little site that "would give this crumbed jewel the respect it deserves". Emphasising Facebook and instagram feeds and some clever branding, Newism put together an award winning site full of character and flavour. And we have the giant silver thong to prove it. Ausdance is Australia's peak body for dance. Its goals are "educating, inspiring and supporting the dance community in reaching its potential as a dynamic force within local, national and international communities". 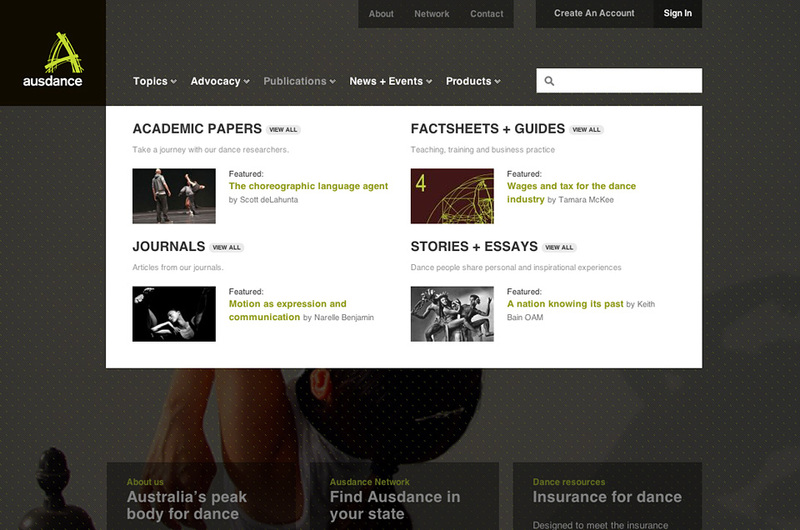 Ausdance provide leadership in dance education, advocacy, policy development and debate. A revamp of their site called for a contemporary design to complement their style guide, partnered with a solid content management system with integrated e-commerce. Newism worked closely with Ausdance to supply them with a highly customised ExpressionEngine installation, featuring e-commerce, advanced threaded commenting to encourage discussion, and a suite of custom publishing tools. 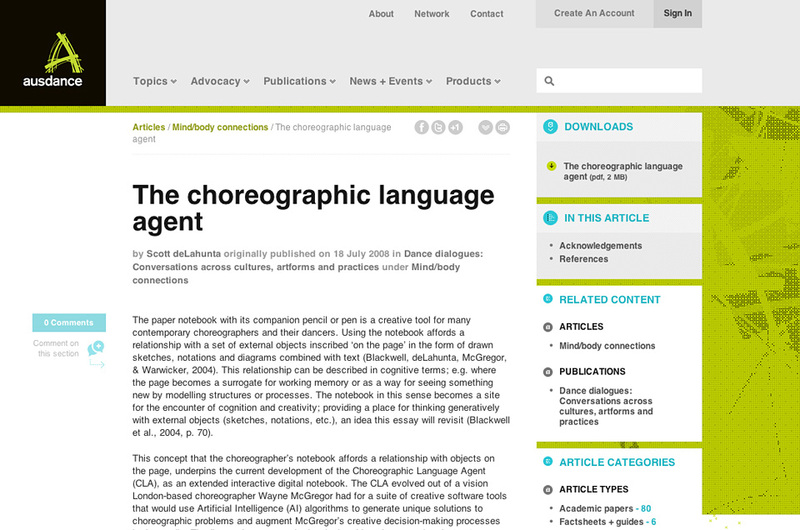 Faced with the daunting challenge of a veritable tome of information, the content curators at Ausdance are thrilled with the flexibility and efficiency of their new CMS. 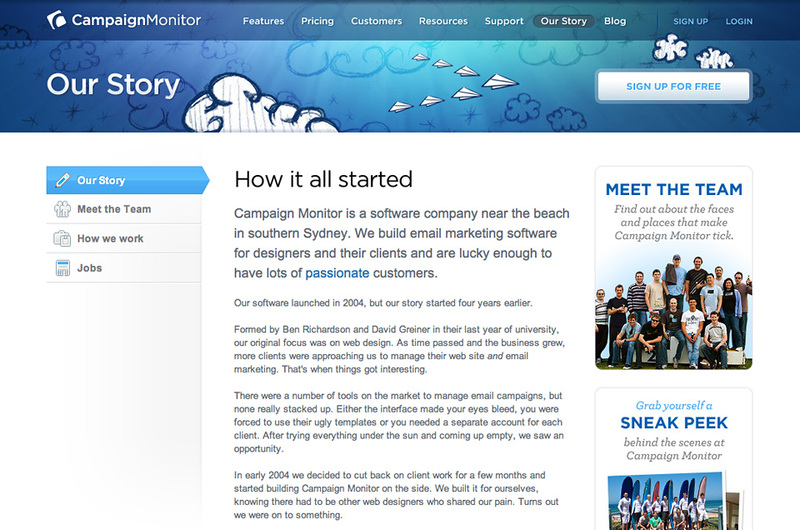 Newism was responsible for the front-end build and ExpressionEngine implementation of the Campaign Monitor website. In collaboration with 31Three, it has become one of the most iconic ExpressionEngine sites in the industry. An email-marketing product we know and love, masterful design by Jesse Bennett-Chamberlain from 31Three, and a savvy local client—bliss! 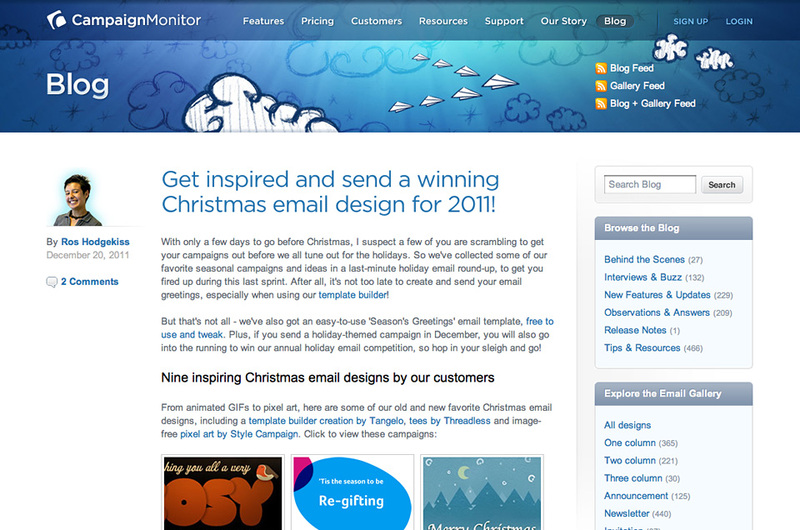 Sydney-based software developers Freshview had commissioned a gorgeous new site design for their flagship email-marketing product Campaign Monitor; what they needed was a skilled ExpressionEngine development team who embraced their own attention-to-detail and focus on quality. 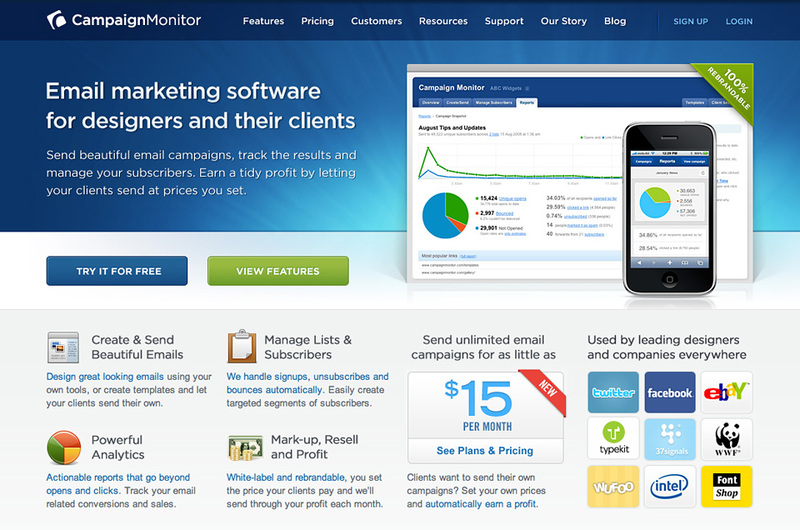 The Campaign Monitor site remains one of the most highly trafficked ExpressionEngine sites to this day, which is testament to its great design and Campaign Monitor’s fanatical support of its customers. For an insightful look into the world of online advertising, check out founder Dave Greiner’s blog post on the results of the banner campaign. 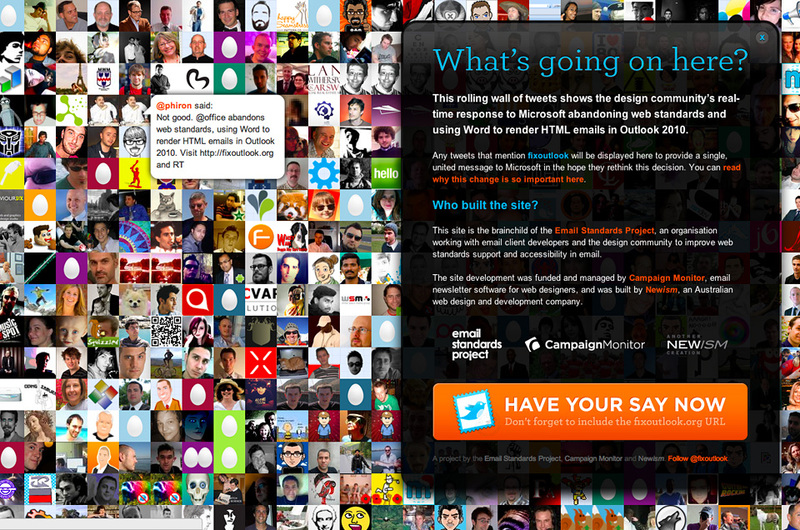 FixOutlook.org is a Twitter-powered viral protest site aimed at convincing Microsoft to support web standards in Outlook. Over 20,000 tweets in 24 hours got Microsoft's attention and the web buzzing, with an official response from Redmond and high profile media coverage. With the launch of Outlook 2010, Microsoft single-handedly cemented HTML email development in the dark ages. There were lots of complaints. Being passionate advocates of web standards, Campaign Monitor set about rallying the email development community to join them in expressing their frustration to Microsoft. 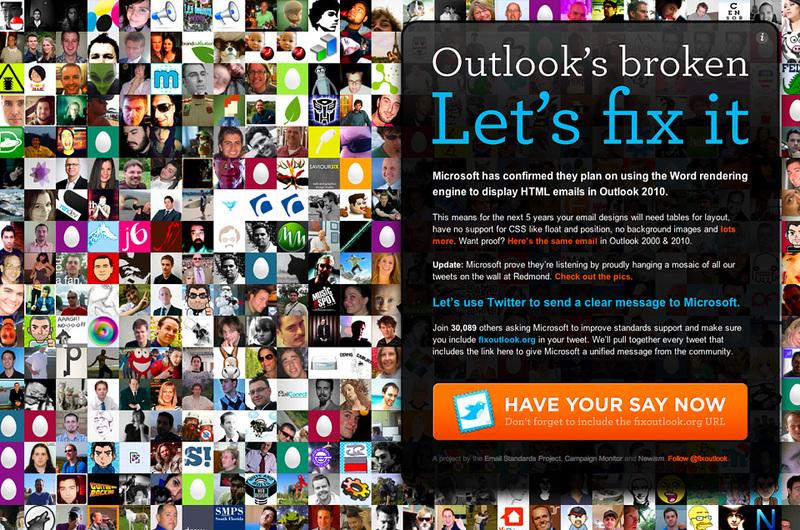 The battle-plan of Fix Outlook was simple: bombard Microsoft by asking the community to tweet the hash-tag #fixoutlook. To fully engage the community we gave every virtual protester their 15 minutes of fame by displaying their Twitter avatars alongside their tweets. 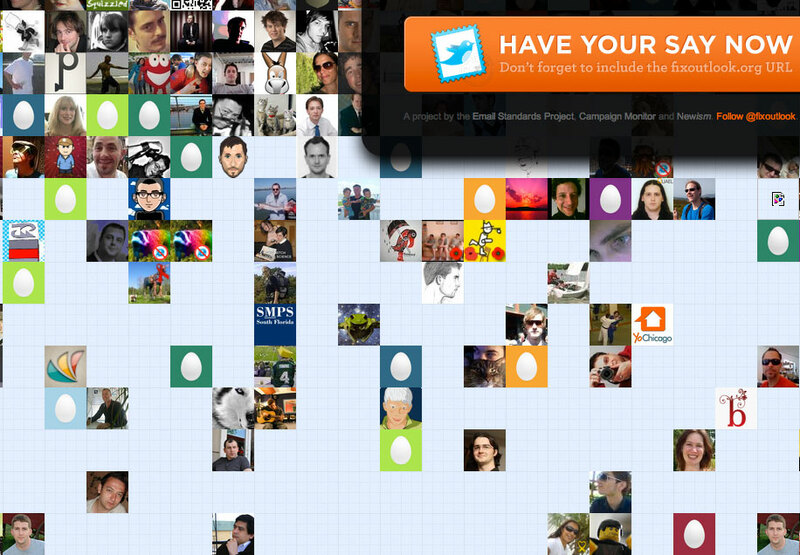 Then we displayed hundreds of avatars at a time in a giant, live-updating Twitter wall. 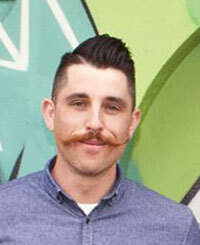 The effect was so compelling that news of the campaign rapidly spread across the web. Over 20,000 #fixoutlook tweets in first 24 hours got the topic trending on Twitter, major online news coverage, and most importantly, an official response from Microsoft. The Fix Outlook campaign is still resonating today, and we hope that our part in the project takes the industry one step closer towards standards compliance, and better looking email for everyone. For over 11 years, GradSchool has been responsible for delivering postgraduate coursework programs to thousands of students spread over 60 countries. 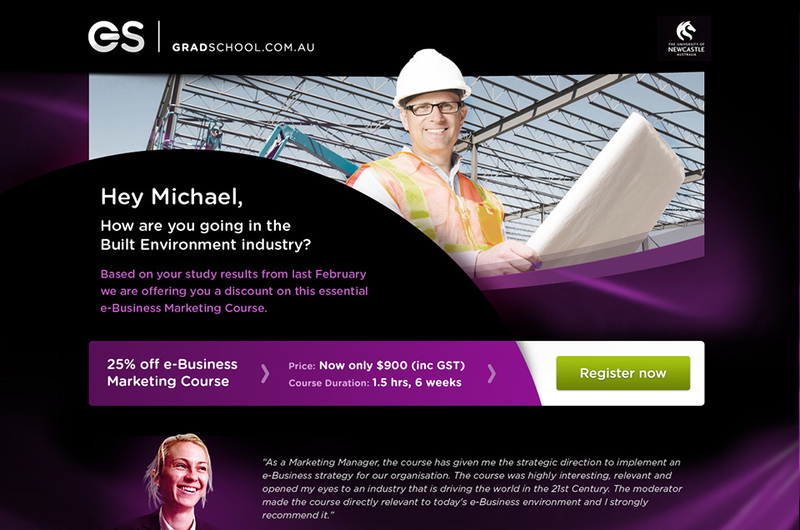 The University of Newcastle partnered with Newism to help strengthen their online presence. 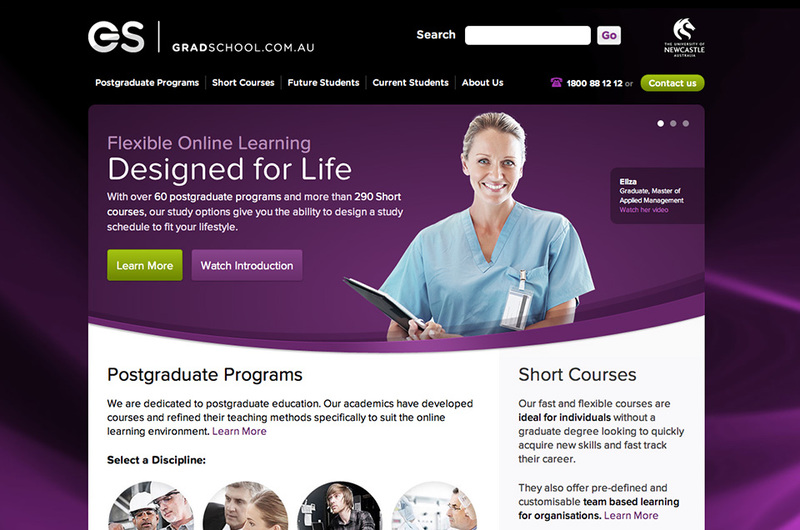 GradSchool delivers online training courses and postgraduate programs to thousands of students spread all over the globe. 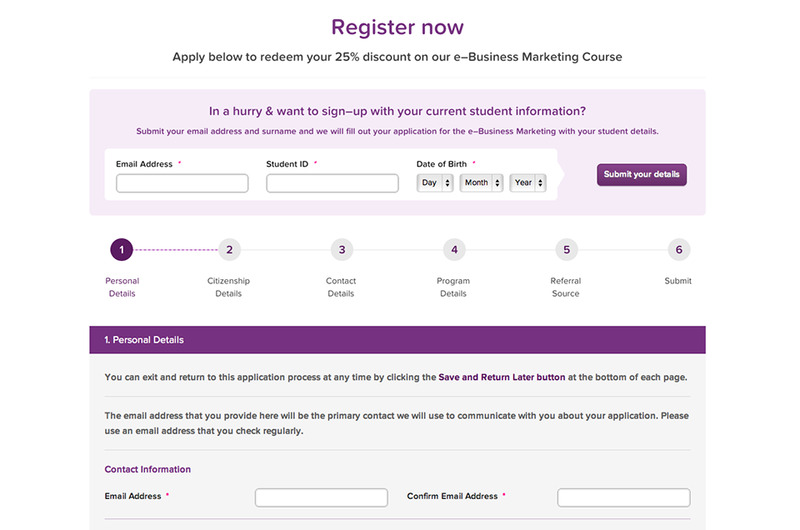 Gradschool’s website redesign focused on several key areas: streamlining pathways to desired content, providing a richer user experience through improved graphics and increasing conversion rates via more obvious calls-to-action. The most challenging part of the project was that this had to be accomplished within the confines of a proprietary content management system. 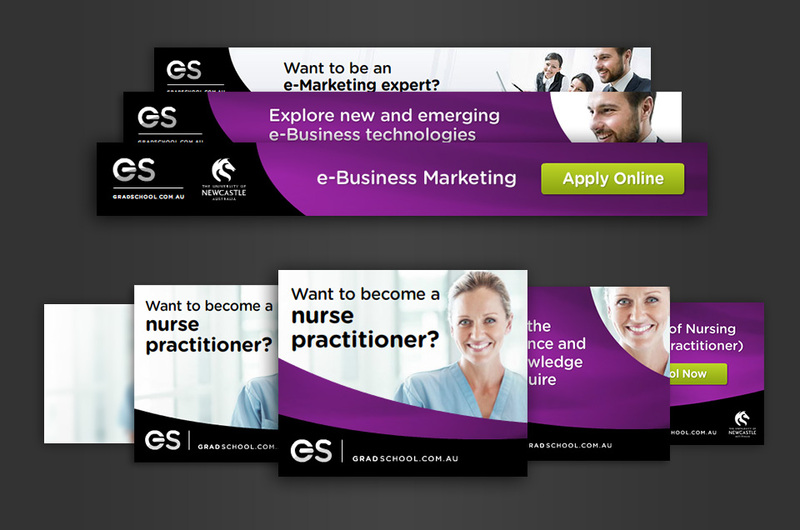 To help promote the redesigned website, Newism also created a series of Flash banners and personalised email campaigns targeted to appeal to past graduate students. Popular Australian fitness guru and television personality Michelle Bridges has improved the lives of thousands of her followers by helping them lose weight and get fit. 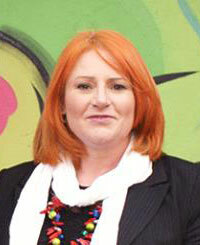 Newism are proud to have been part of her incredible journey. 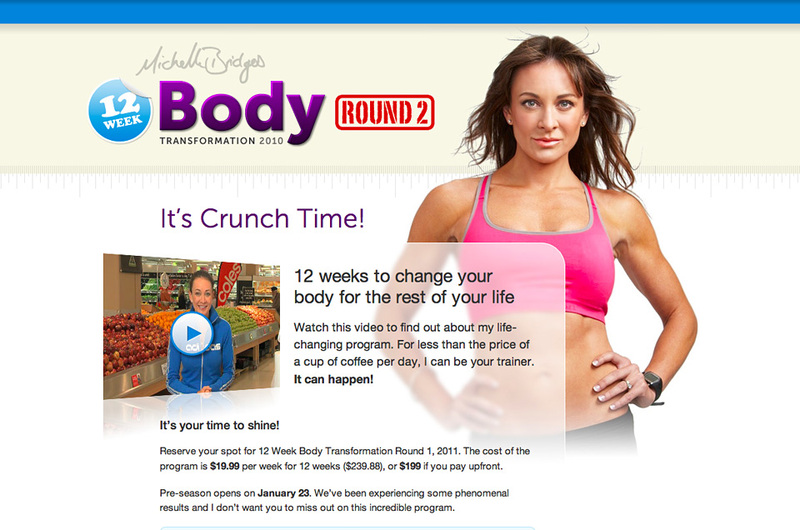 The Michelle Bridges 12 Week Body Transformation is a hugely popular online fitness program. Members sign up for 12 weeks of online support from Michelle Bridges, and from the thousands of fellow members who join for each round. As part of their membership they receive exercise and nutrition plans, and most importantly, moral support and mind-set lessons that set them up for success. 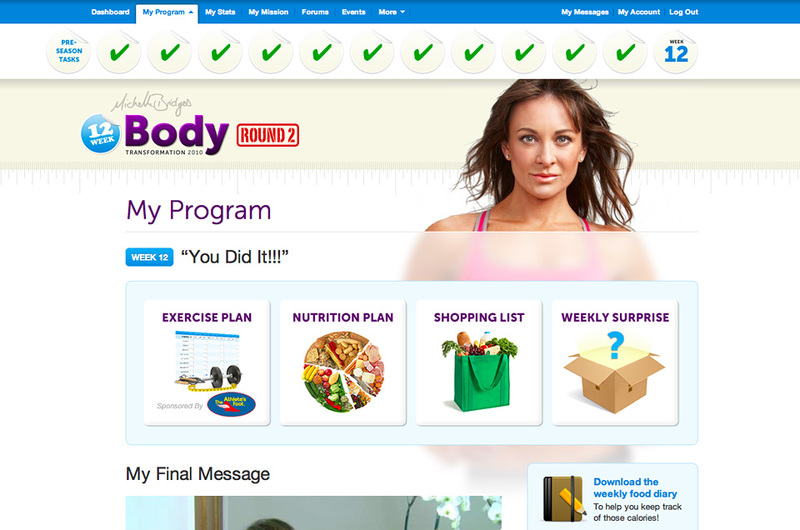 The 12WBT forums are definitely the most utilised area of the site; as are the weekly live video streams and chats. 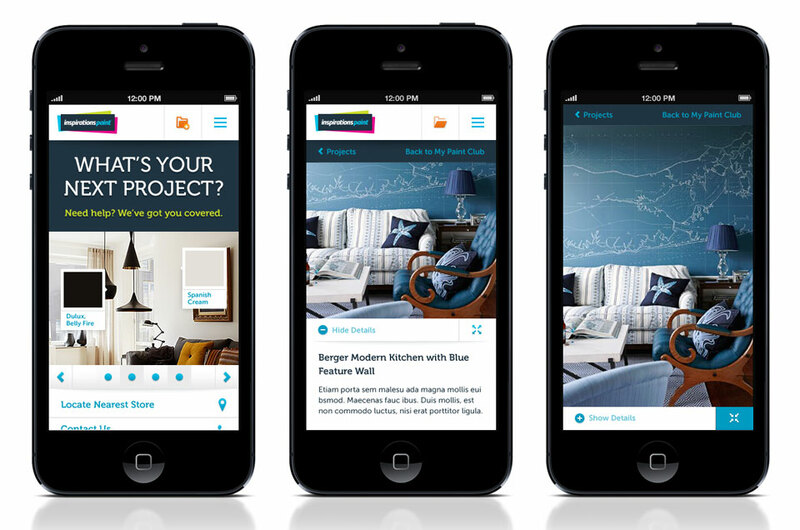 A mobile app was high on the list of member requests, so early in the program a jQuery Touch version of the site was developed. This was met with huge praise from members, as it allowed them to take their program with them to their workout. Spreading the word via social networking was key to the 12WBT’s rapid subscriber uptake, and huge increases in social reach were achieved via tightly integrated Facebook Connect functionality, a solid Twitter marketing plan, and regular member updates via 12WBT branded HTML emails. User-generated fitness events were the last piece of functionality we implemented on the site, and this demonstrated to us just how much the psychology of the members had improved for the better thanks to the program. We weren’t prepared for it, but the 12 Week Body Transformation really does change the lives of its members – something that Newism is very to proud to have been a part of. 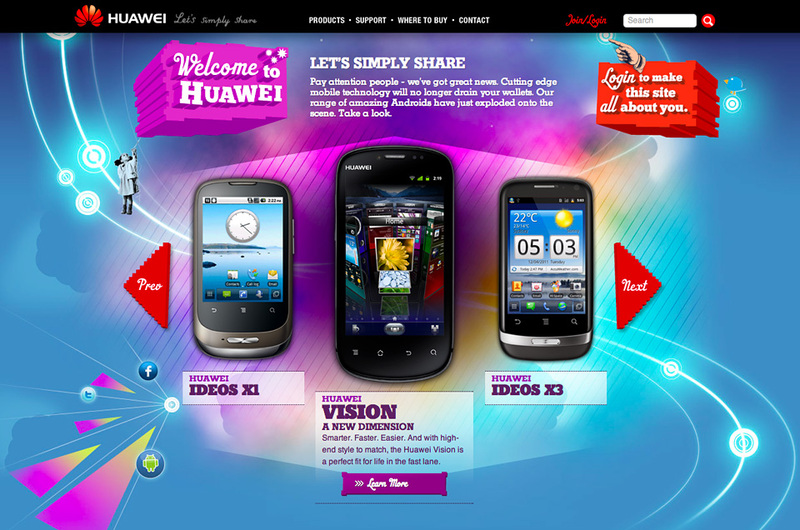 Huawei's entrance into the Australian market represented the largest branding effort to date for the company. So successful was the launch in fact, that all of their global marketing is now being shifted to their Australian team. 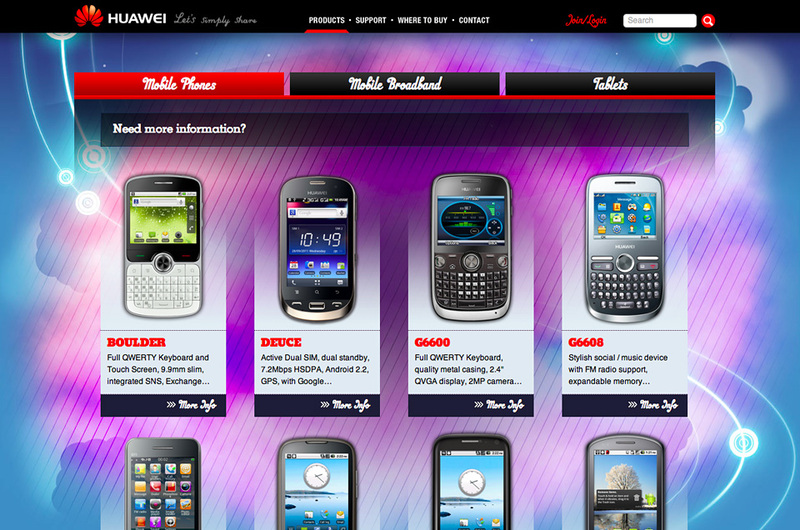 Huawei are a global manufacturer of advanced smart–phones and tablet devices based in China. In collaboration with digital agency ArnoldFurnace, Newism developed a dynamic, youth-focused website, brimming with advanced technology and an extensive suite of social engagement tools. 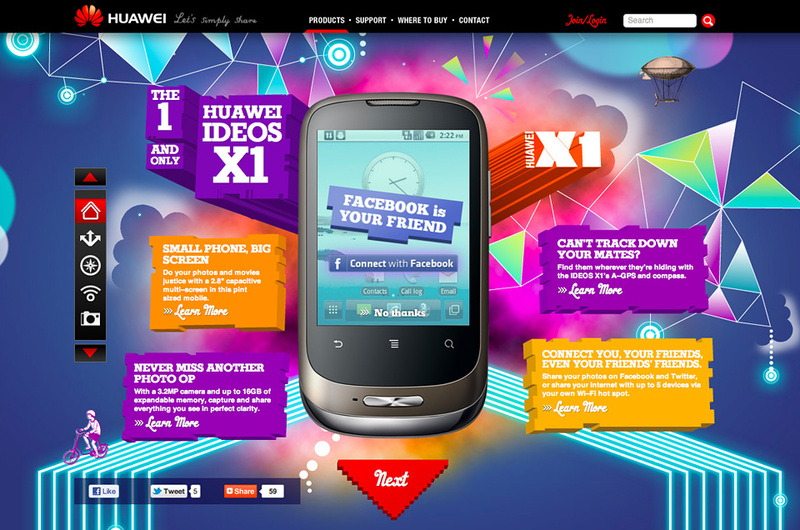 Facebook Connect integration gives users the ability to browse their Facebook Wall inside a Huawei smart-phone; plus the fun of taking a picture of themselves via their web-cam and posting directly to their Facebook photo gallery. We hope you enjoyed our work. Now check out some of our services or get in touch if you’re already sold. Newism have partnered with agencies such as ArnoldFurnace, Euro RSCG and Leo Burnett from day one, because for us, it’s a natural fit. Our role with them has ranged from fast–turnaround campaign support, to long-term consultation on projects for their most valued brands. Not every project is a huge one however, nor is every client, but that doesn’t diminish our focus. Bespoke projects give us the chance to flex our creative muscles and keep us innovating. It’s our unending attention to detail that turns our new clients into valued partners. 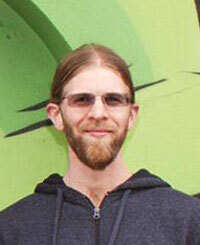 David Greiner Founder, Freshview (creators of Campaign Monitor). 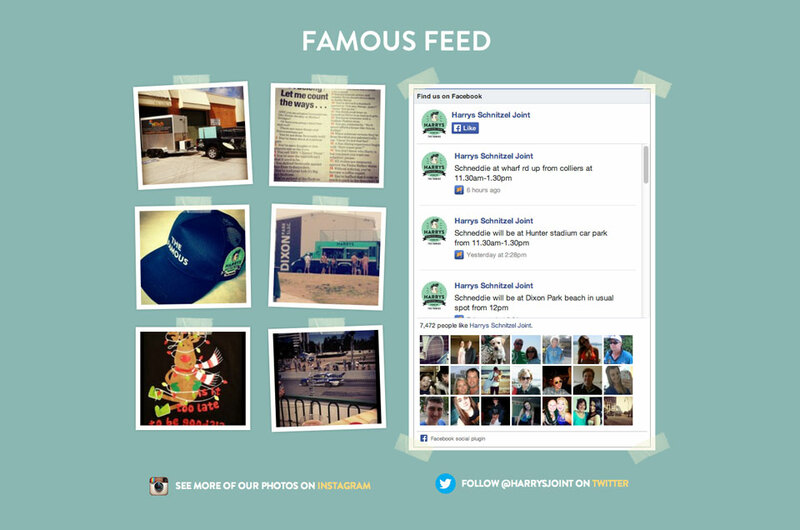 You’ve got an idea – how do you get it online and how do you ensure its success and longevity? What platforms will enable rapid development and the ability to quickly pivot if your online strategy changes? How will this product be marketed? Which channels will get your product in front of the most engaged customer groups? Our broad online experience means we’ve grown beyond just building websites – our focus is partnering with companies and start–ups who are after expert guidance and support in bringing their ideas to the web. We take our clients from project inception, through to sharing in the successes of their online business. Our processes are structured and measurable, and are consistently refined to meet the needs of your business and the market. Newism are always on the lookout for creative new team members – think you’ve got what it takes to work with us? We’d love to meet you! 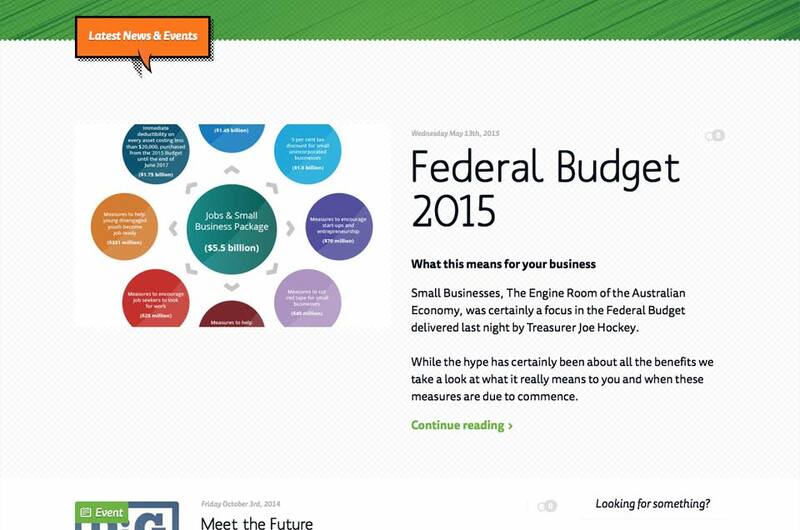 Regular industry related news and Newism blog updates delivered straight to your in–box. Copyright © 2019 Newism Pty Ltd. All rights reserved.